Do we really have a Premier League title race? For months, it looked like the Premier League title was Chelsea's to lose. 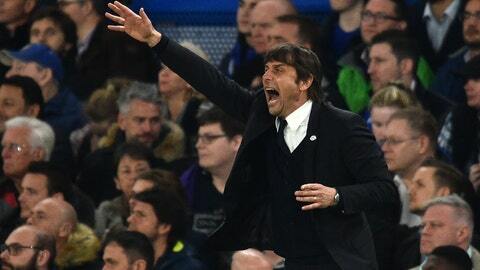 And it still is, but their loss to Manchester United on Sunday, coupled with Tottenham's win the previous day, has made for just a four-point gap between the Blues and their London rivals. So with a four-point lead and six matches to play, do we have a Premier League title race? 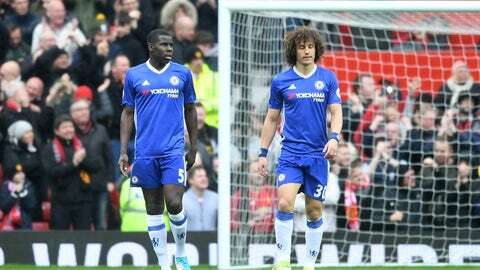 Chelsea had their doors blown off by Manchester United, failing to register a single shot on goal as the Red Devils cruised to victory. It was a terrible showing, but it was really their only especially bad match of late. Even when they lost to Crystal Palace at the start of the month, they were the better team. There's no question who the hottest team in the league is. Spurs have run off seven straight wins despite dealing with a slew of injuries. They're scoring goals by the bunches and still have the league's best defense. They could get even better down the stretch as the likes of Harry Kane, Victor Wanyama, Danny Rose and Kyle Walker find fitness and form. 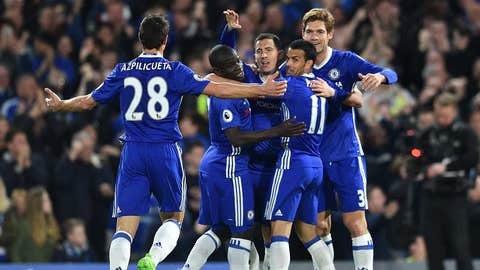 Winning away to Everton will be tough and West Brom have been tough this season, but Chelsea will still be favorites in every match they play. As far as run-in schedules go, you won't see much easier than what the Blues face. 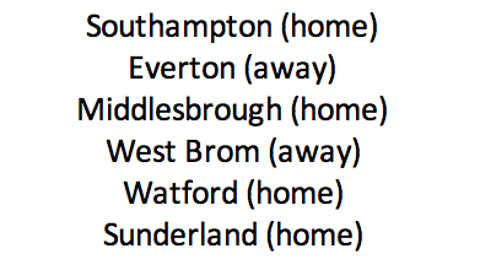 The good news for Spurs is they get their toughest two remaining matches at home. The bad news is that those matches are against Arsenal and Manchester United, so they won't be easy. Even worse news is that those are their only home matches left. What do we need for a Spurs comeback? 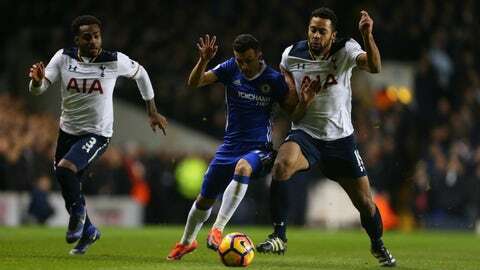 Spurs have six matches to make up four points, which means Chelsea need to lose a match and draw another if Tottenham can win out. 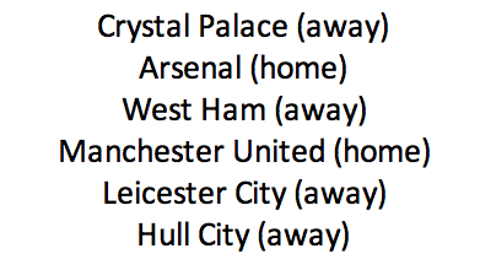 Considering Chelsea's schedule, dropping four points seems unlikely. And Tottenham winning out even more unlikely. More realistically, Spurs will draw at least one match, maybe two. And if that's the case, we need two Chelsea losses. So do we have a title race? Yes! We definitely have a title race, which is delightful considering how unlikely that looked for the last few months. That said, it would take some combination of choking, injuries and bad luck on Chelsea's part to give Spurs a chance. 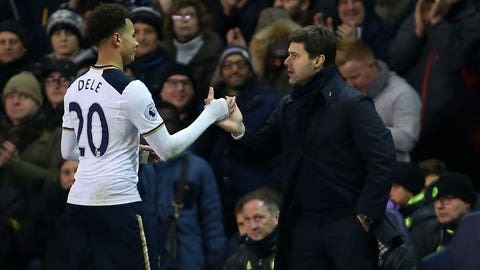 The good news, for those of us who want the drama, is that Tottenham are in good form so they can keep the pressure on and late season choking, injuries and bad luck are not unheard of. There's a chance, albeit a small one.